A luxury well maintained and well kept caravan, Fully Equipped - Kitchen, Lounge, 3 Bedrooms - 1 Double, 2 Twin, Situated at Newton Hall Caravan Centre, Staining - approx 2 miles from Blackpool Centre. Facilities on Site: Shop, Cafe/Coffee shop, Fish & Chip Shop, Amusement Arcade, Newly built licenced Club with seperate room providing Children's entertainment, Indoor Heated Swimming Pool with newly installed Jacuzzi and Steamroom, Licenced Indoor Bowling Centre, Newly installed Astroturf Football Pitch, Fishing Lake, Childrens Play Area. 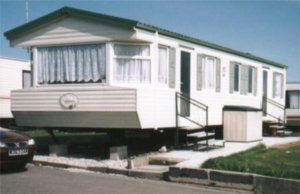 Newton Hall Holiday Centre is a long established award winning Caravan Park. It understands family needs and caters for them outstandingly, within close proximity of all Blackpool's attractions that it has to offer. There is a regular bus service at the entrance of the park which runs every 20 min. The park is also within walking distance to the famous Blackpool Zoo, Model Village and Stanley Park. There is also a Golf Course situated near to the Zoo. Please Note:- No weekend bookings (Fri - Mon) available during July and August.